« Apple pushes back delivering of 27-Inch iMac to January. 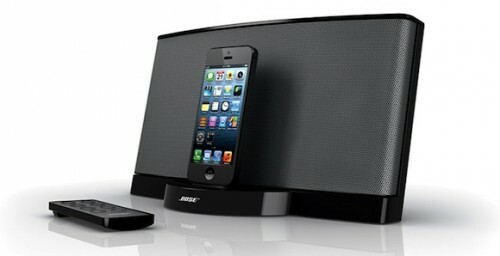 "The SoundDock Series III digital music system lets you play music from any iPod or iPhone model with an Apple Lightning connector, and enjoy it with Bose quality sound. - Proprietary acoustic design delivers a unique combination of small size and proven performance. - Convenient remote controls the system and basic iPod or iPhone functions, including playlist navigation. - Works with and charges iPod and iPhone models with an Apple Lightning connector. - Auxiliary input lets you play other audio devices." Bose was one of the vendors that Apple mentioned at the press conference in September, and was the original partner on new Lightning connector. Other partners that have yet to announce the sale of products for the Lightning were Bowers & Wilkins and Bang & Olufson, although the latter has announced a free update that will allow owners of BeoPlay A8 to update to Lightning Jack, if they choose to connect directly, rather than using the capabilities of AirPlay system.